Dr. Mahesh Reddy is one of the best Shoulder Surgery experts in India. He is the co-founder and Director of Nova Medical centers (www.novaspecialtyhospitals.com), India’s first specialty standalone day and short stay surgical centers. Nova Medical center is the parent company of Nova Specialty Hospitals and Nova IVF Fertility. It currently has 11 specialty surgery centers across India and one in Middle East & 6 in-vitro fertilization (IVF) clinics. He has an enormous experience, working with patients suffering from Periarthritis, also known as Frozen Shoulder. He is also adept at Total Shoulder Replacement, Revision Surgery as well as Shoulder Resurfacing & also specializes in providing Minimal Access Surgery. Dr. Mahesh completed his MBBS from Bangalore University. He has an MS in Orthopedics from JJM Medical College, Davangere. He has also done his Mch in Orthopedics from UK. He has a fellowship from the Royal College of Surgeons, England. Dr. Mahesh has worked as a Consultant Shoulder Surgeon at Manipal Hospital, Columbia Asia and Mallya Hospital. At the Manipal Hospital, Bangalore, Dr. Mahesh played an integral role in setting up the Shoulder Clinic. 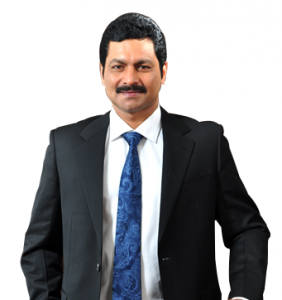 He holds the credit for being the first doctor in India, who specializes in providing shoulder related treatments. Dr. Mahesh has been conferred with many awards and honors for his invaluable contributions to the medical world. He received the Bharat Jyothi Award in 2008 for excellence in the field of medicine. He founded the Watanabe Cadaveric Course in India with the aim to provide training for Shoulder Arthroscopy Surgeons. In the year 2011, he was awarded the Medical Healthcare Innovation Award. Dr.Mahesh was featured in an article titled “Hidden Gems of India” in the August 2013 edition of the Forbes Magazine. He is the Secretary of the Shoulder and Elbow Society of India and Organizing Secretary of the annual Bangalore Shoulder Course and also an Executive Member of the CII National Committee for health and Vice President of Indian Society of Ambulatory Surgery. He is also the Reviewer of two internationally renowned Orthopedic research journals- The Journal of Bone and Joint Surgery and the Journal of Shoulder and Elbow Surgery. Dr. Mahesh has many publications to his credit. He has also attended conferences and seminars across the globe and rendered lectures on various shoulder topics as guest faculty. He is a member of many prominent associations like the Indian Orthopaedic Association, the Karnataka Orthopedic Association, Indian Arthroscopy Society and the Bangalore Orthopedic Society and also Advisory Board Member of WWF-India. (World Wildlife Fund).